Utah is home to the Bryce Canyon National Park, Canyonlands National Park, the Grand Staircase-Escalante National Monument and the Caribou-Targhee National Forest. There is no other way to describe Utah than to say it is spectacularly beautiful. It is home to a plethora of natural sights and offers fantastic year-round recreational activities. There is so much geographical diversity in Utah that you could easily spend weeks touring around the state. There are desert sand dunes, valleys, pine forests and mountains, as well as numerous lakes. If you are ever in Utah and want to spend time enjoying its lakes, these are the 15 best lakes in Utah. 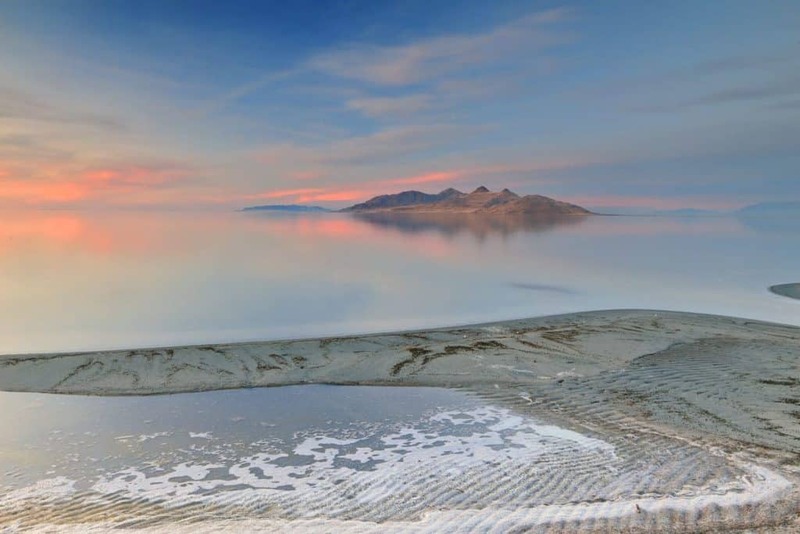 At 440,000 hectare, Great Salt Lake is the largest salt water lake in the Western hemisphere! It is a remnant of the prehistoric Lake Bonneville, which once covered most of the state. 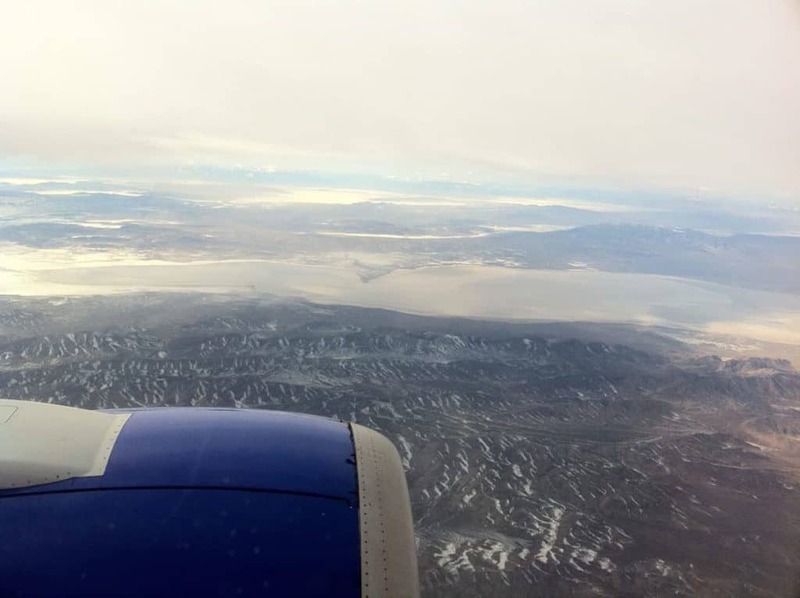 Pegged as ‘America’s Dead Sea’, Great Salt Lake is a haven for birdwatchers, as it is home to millions of native birds as well as shorebirds and waterfowl. As a result, there are a number of bird refuges and sanctuaries. There is more to the lake than just birds. Visitors also come here to go swimming, kayaking, sailing, picnicking and camping. This shallow fresh water lake lies in the Utah Valley surrounded by magnificent scenery. Utah Lake itself sits at an elevation of 1,368 metres and has a total surface area of 38,000 hectare. The lake is used for multiple purposes, including water conservation, bird watching and recreational activities. These include water skiing, fishing and boating. If you would rather stay on land, the lake is surrounded by hiking trails. There are also a few resorts and places to go camping. This reservoir sits along the Colorado River and is shared with neighbouring Arizona, although the majority of it lies within Utah. It was created by the flooding of the Glen Canyon, but today it is a popular summer destination. 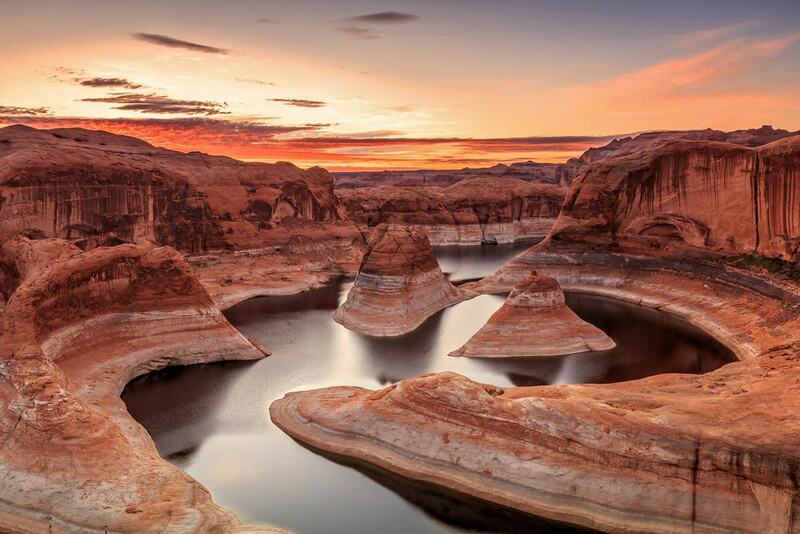 The Glen Canyon National Recreation Area takes up most of the lake’s shoreline, which is over 3,000 kilometres long. Fishing is one of the most popular things to do here as a result of its abundance of bass. Lake Powell is also home to some famous landmarks, like the Rainbow Bridge National Monument and Hite Crossing Bridge. Another great thing about it is that there are no restrictions on where you can set up your tent. Bear Lake is a freshwater lake that sits on the Utah-Idaho border. It is over 250,000 years old and boasts a unique turquoise-blue colour. The 28,000 hectare lake sits at an elevation of 1,800 metres and is often called the ‘Caribbean of the Rockies’ because of its magnificent colour. It is also surrounded by beautiful scenery. 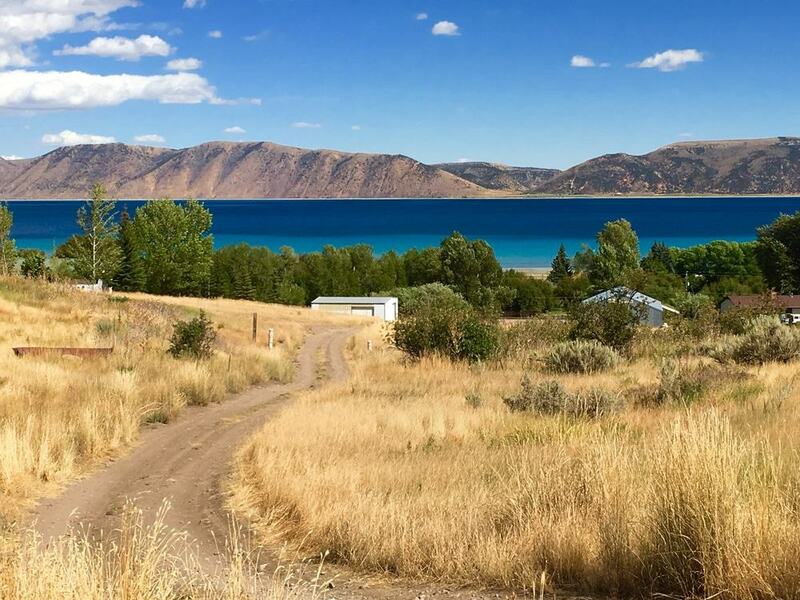 In addition to being stunning, Bear Lake is also popular for its recreational activities, which include swimming, boating and camping. 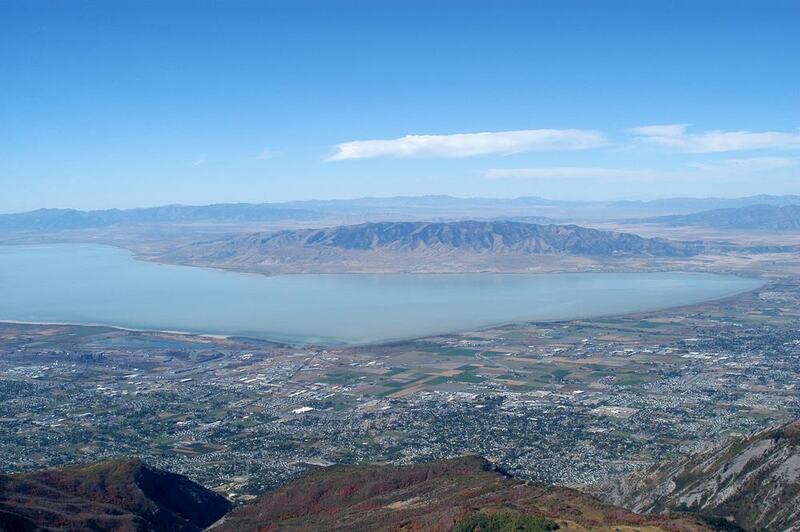 It is also home to two state parks, one of which is on the Utah side of the lake. This 1,200 hectare lake is the main feature of the Deer Creek State Park. The park is home to 75 campsites, two boat ramps and a number of picnic areas. 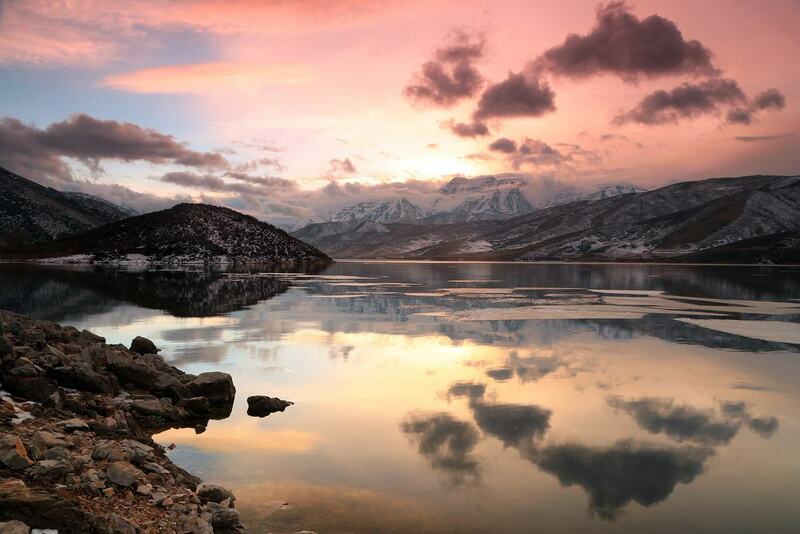 Deer Creek Reservoir was formed in 1971 with the building of the Deer Creek Dam. It sits at an elevation of over 1,600 metres and boasts a backdrop of Mount Timpanogos. In addition to water-based activities, it is also possible to go zip-lining, mountain biking and hiking. There’s even a magnificent golf course nearby (Wasatch Mountain Golf Course). Utah’s most popular fishery, the Strawberry Reservoir receives over 1.5 angling hours each year! It is home to an abundance of bear lake cutthroat trout, rainbow trout, kokanee salmon and crayfish. The reservoir sits in the Strawberry Valley, which is part of the Uintah and Ouray Indian Reservation. The reservation is the largest of three that are inhabited by members of the Ute Tribe. There is a marina along the west shoreline of the lake that offers numerous activities, including boating and snowmobiling. It’s also home to a lodge with guest rooms and a restaurant. Tony Grove Lake is a beautiful lake that is located in the Logan Canyon Scenic Byway and the Mount Naomi Wilderness area. It sits at an elevation of 2,453 metres and is accessible by a paved road. It is a glacial lake that is surrounded by some stunning wildflowers in the spring and summer. There are also a number of trails surrounding the lake. The Tony Grove Campground sits above the lake overlooking it. Here, you can go camping, as well as canoeing, horseback riding, fishing and biking. Sitting above the beautiful Heber Valley, Jordanelle Reservoir is a serene lake with a magnificent backdrop of Mount Timpanogos. The lake itself sits in the slopes of Bald Mountain along the Provo River. Jordanelle Reservoir is part of the Jordanelle State Park and features three distinct recreation areas; Hailstone, Ross Creek and Rock Cliff. In the summer, the park hosts a number of triathlons and marathons. There is a public beach, boating facilities, camping facilities and day-use cabanas around the lake. There is also a playground, a nature centre, fish cleaning stations and numerous trails. This alpine lake sits within the Fishlake National Forest at over 2,600 metres above sea level. Fish Lake is also within the Mytoge Mountains, making it a truly spectacular place to spend a day. Fish Lake is known for its excellent sport fishing, having an abundance of lake trout, rainbow trout and yellow perch. It is also possible to go hiking, cycling and camping. Visit the lake in the winter and go ice fishing, cross country skiing and snowmobiling. Visit in the fall and be amazed by the magnificent colourful leaves on the tress of the surrounding Fishlake National Forest. 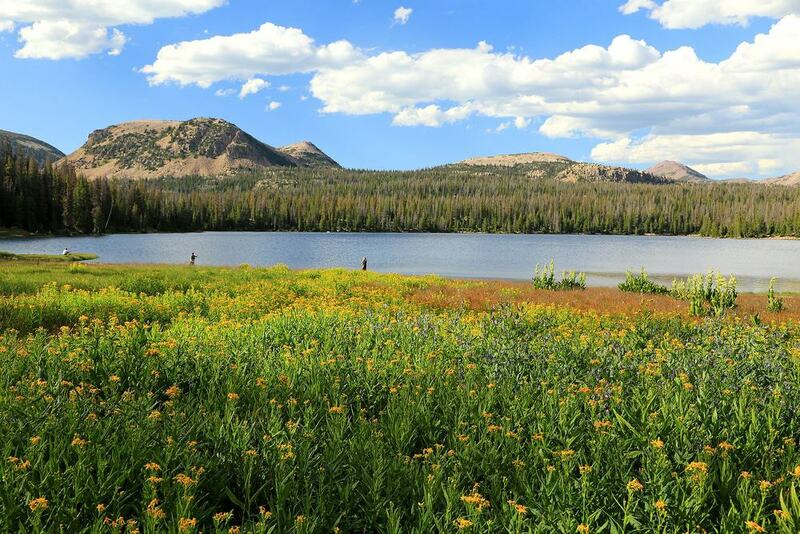 Mirror Lake sits in the Uinta Mountains, resulting in some spectacular scenery. In fact, it sits at the base of the Bald Mountain. There is some great recreational activities offered at the lake, including kayaking, canoeing and fishing. Activities that can be enjoyed on land include hiking, biking, horseback riding and camping. The lake is accessible via the Mirror Lake Highway, which is only open during the summer months. In the winter, you can access to the lake by snowmobile. 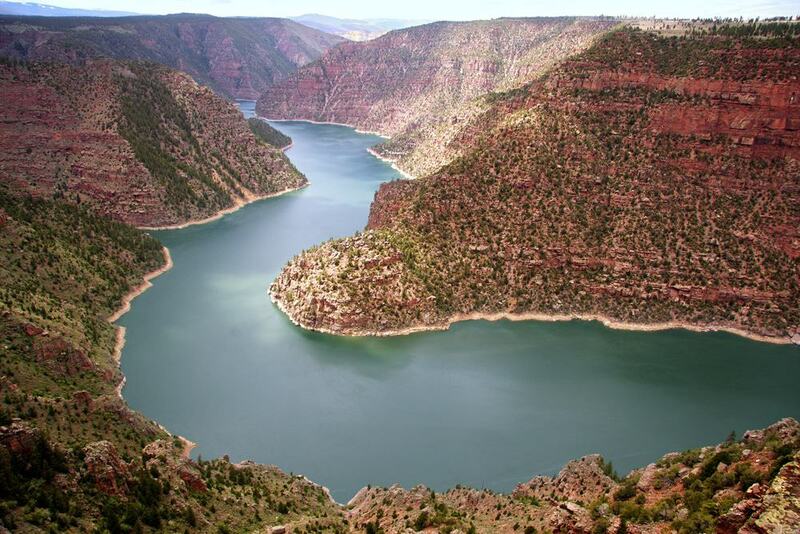 Sitting along the Green River, Flaming Gorge Reservoir is shared with the neighbouring state of Wyoming. It sits near the northeast corner of Utah, within the Flaming Gorge National Recreation Area. The 17,000 hectare lake is the centrepiece of the recreation area, offering excellent windsurfing, water-skiing, boating and fishing. It is also a great area for hiking, as well as cross-country skiing and snowmobiling. If you wish to stay the night, there are plenty of accommodation options right along the lake. These include camping grounds, log cabins and hotel rooms. 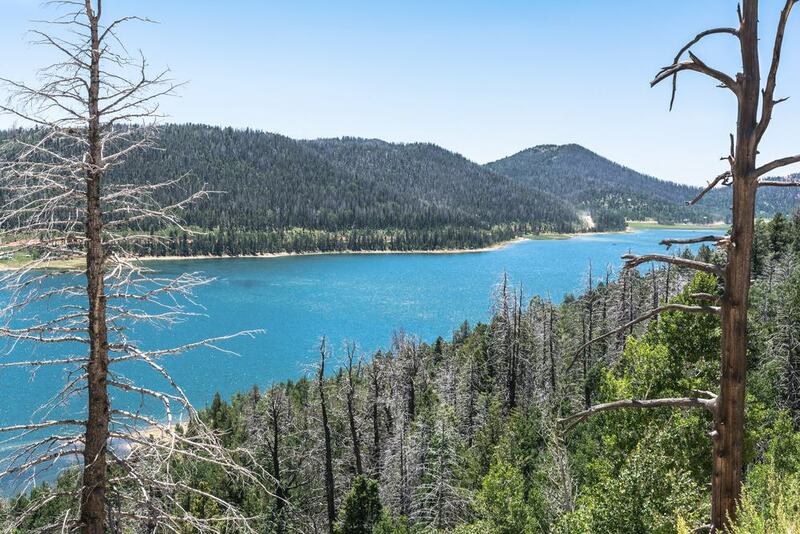 This small reservoir lies within the Dixie National Forest in southwest Utah. The lake is quite shallow, at just 7.6 metres, but its sits at an elevation of 2,754 metres above sea level. 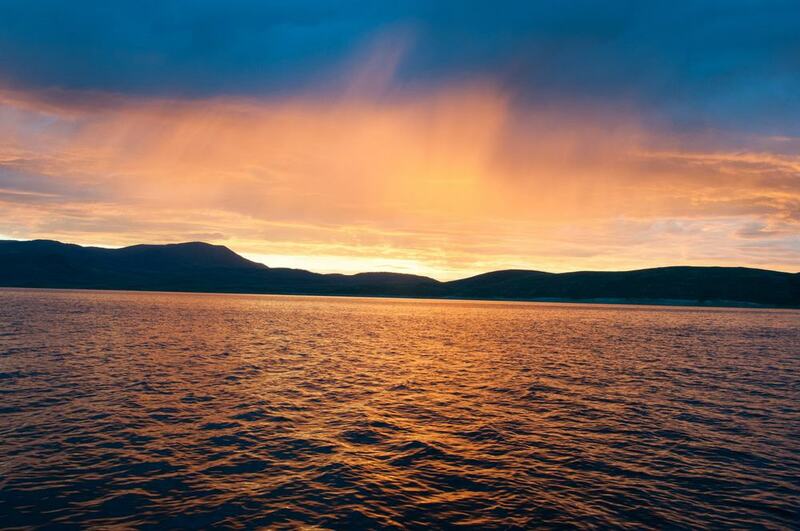 Navajo Lake is a great lake for fishing thanks to its brook trout, rainbow trout and splake trout. There is also a large population of Utah chub. In addition to fishing, visitors come to the lake to go boating, canoeing and fishing. Its stunning natural surrounding also provides you with the chance to go hiking and camping. 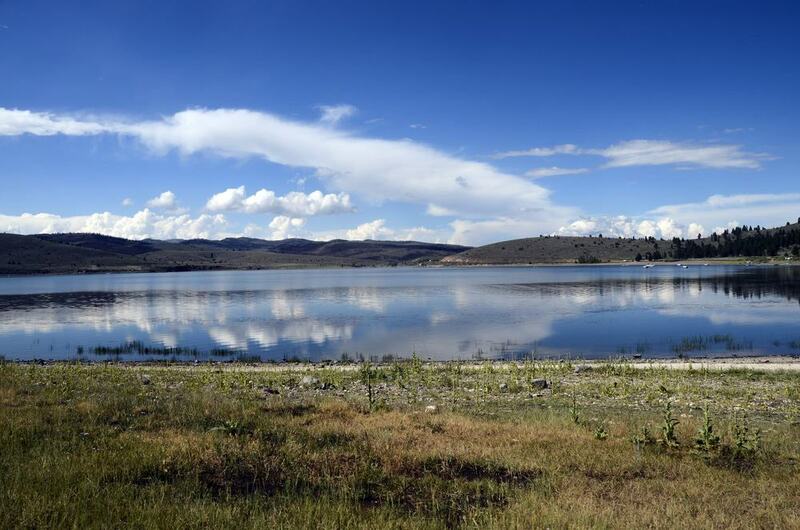 Also in the Dixie National Forest, Panguitch Lake is a very popular lake for tourists. It features numerous camping grounds, over 160 kilometres of trails and some phenomenal scenery. It is a serene lake that is surrounded by trees and mountains, so there is plenty of wildlife to be seen. If you would rather enjoy the lake, you can go boating, kayaking and canoeing. The lake is named after the Paiute word meaning ‘big fish’. This is because of its abundance of very large rainbow trout. This man-made fresh water reservoir stems off of the Great Salt Lake. It separated from the larger lake in 1964 and is now a source of drinking water for the area. 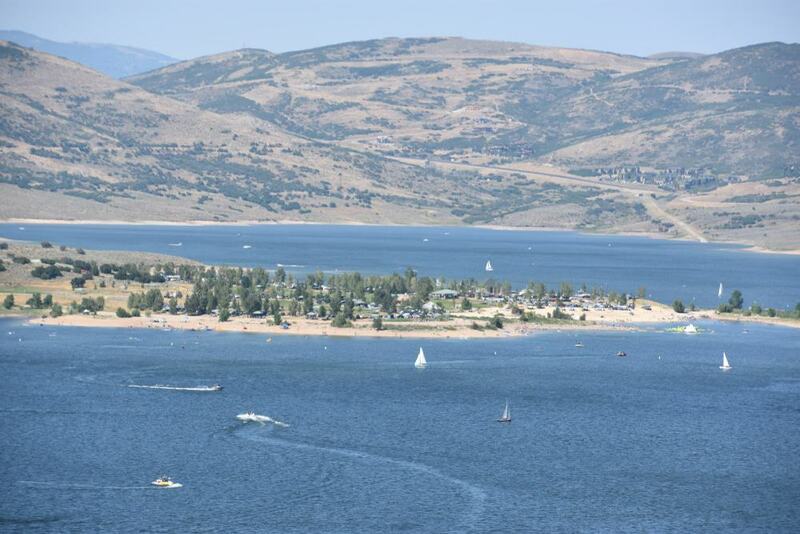 Willard Bay is also a popular recreational destination, offering jet skiing, water-skiing, boating, swimming and fishing. You can also stay on land and enjoy hiking, picnicking and ATVing. It is also possible to visit in the winter to go ice-fishing, snowmobiling and cross-country skiing. Regardless of when you visit, there are camping grounds, modern washrooms, picnic areas and fish cleaning stations. Sevier Lake lies in the lowest part of the Sevier Desert. The intermittent and endorheic lake is part of the former Pleistocene Lake Bonneville. The lake is predominately dry throughout most of the year, though it is still worth visiting. It is surrounded by sand so it is quite spectacular to look at. The lake sits at an elevation of around 1,370 metres between the Basin and Range geological province the Colorado Plateau.